Despite Brisbane experiencing its biggest apartment boom in history, construction costs have increased at less than half the rate of the last boom years from 2003 to 2005, the Australian Bureau of Statistics (ABS) has revealed. New figures from the ABS highlight that building costs grew by 13 per cent year on year in 2003 but by only 5 per cent in 2015. This is despite the current peak of quarterly apartment starts at 6155 compared to 4323 in the previous boom during 2003. Whilst the increased tier 1 contractor competition in the market is favourable, choosing your supply chain with the right skills and capability at the outset is critical to project success. Mr Emmet said that several forces had been at play to drive Brisbane’s biggest construction boom including low interest rates; expectations of price growth; an undersupplied market in the last few years; and a low dollar has meant Australia is an attractive haven for overseas investors. The apartment boom has coincided with the end of the mining boom, which has helped create a surge in trade worker availability to service the upswing in Brisbane activity. 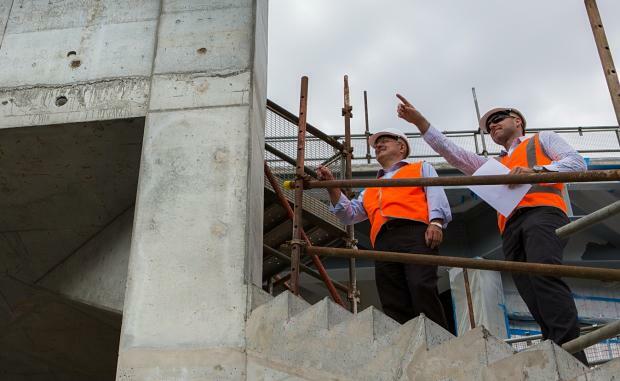 Robert Sobyra, Director – Evidence & Data from Construction Skills Queensland, said: “There is no skills shortage in Brisbane which is being felt in other parts of the country. At the height of the boom in 2013 there was about $60 billion worth of construction activity in Queensland. We had a workforce of about 230,000 to meet that demand.